Inconel 600 Round Bars, ASTM B166 Inconel 600 Bar, Inconel UNS N06600 Flat Bar, Inconel 600 Hexagonal Rod, Inconel UNS N06600 Rounds rods, Inconel Alloy 600 UNS N06600 Round Bar, Exporter, Manufacturer, Suppliers, Mumbai, India. ASTM B166 Inconel 600 Bar, Inconel UNS N06600 Flat Bar Manufacturer, Inconel 600 Hexagonal Rod Suppliers In India. Inconel 600 Wire Mesh, Inconel DIN No. 2.4816 Wire, Incoloy 600 Wire Bobbin, Inconel Alloy 600 Filler Wire Exporter. Calico Metals deals in a widespread range of Alloy 600 Rod, Bars, Wire, Wire Mesh, where it is widely demanded among the clienteles because of its different uses. Alloy 600 Bars has outstanding cold and hot workability. 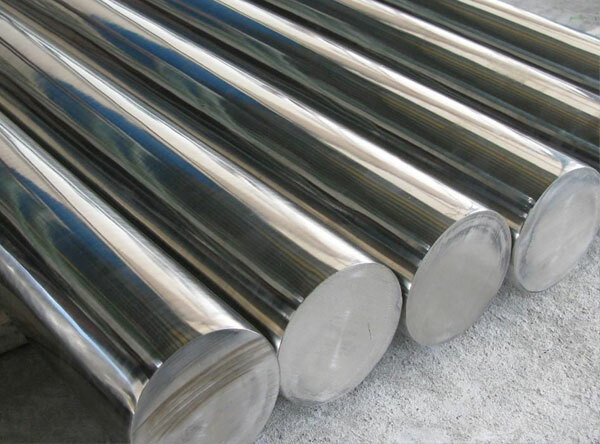 Inconel 600 Round Bars is as well a nickel-chromium alloy by means of first-rate oxidation resistance at soaring temperatures. Inconel 600 Wire Mesh is a nickel-base alloy by means of outstanding carburization. Inconel 600 Wires are willingly weldable and are used in a number of corrosion resisting uses. Inconel 600 Bars is nonmagnetic and hold an outstanding combination of soaring potency. We are one of the leading Manufacturers, Supplier and Exporters of high quality Inconel Bars, Rods & Wires in Mumbai, India. Inconel Bars, Rods, Wires are available in special alloys like Inconel 600, Inconel 601, Inconel 625, Inconel 718, Inconel X-750, Incoloy 800, Incoloy 800H/ HT and Incoloy 825. We are manufactured as per the international quality and safety standards. These Bars, Rods & Wire are widely used in various applications industry. We also offer these Products are available in different size,grades, specification & thickness as per the clients requirements. Service temperatures for UNS N06600 Round Bars can be from cryogenic to 2000 Deg F. Application of these WNR 2.4816 Round Bars is useful in the pulp and paper, chemical, aerospace, heat treating industries, etc. As a manufacturer, supplier, stockiest and exporter, we offer these Inconel Alloy 600 Round Bars in custom-made sizes and thicknesses, as per the exact demands of our esteemed clients. Inconel 600 can be machined using conventional machining methods which are used for iron-based alloys. Machining operations are performed using commercial coolants. High-speed operations such as grinding, milling or turning, are performed using water-base coolants. Inconel 600 is welded using gas-tungsten arc welding, shielded metal-arc welding, gas metal-arc welding, and submerged-arc welding methods.